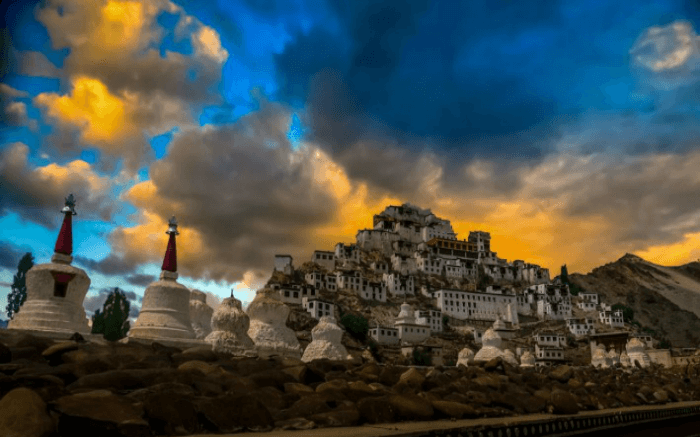 Here are the top 8 iconic Buddhist monasteries in the country. 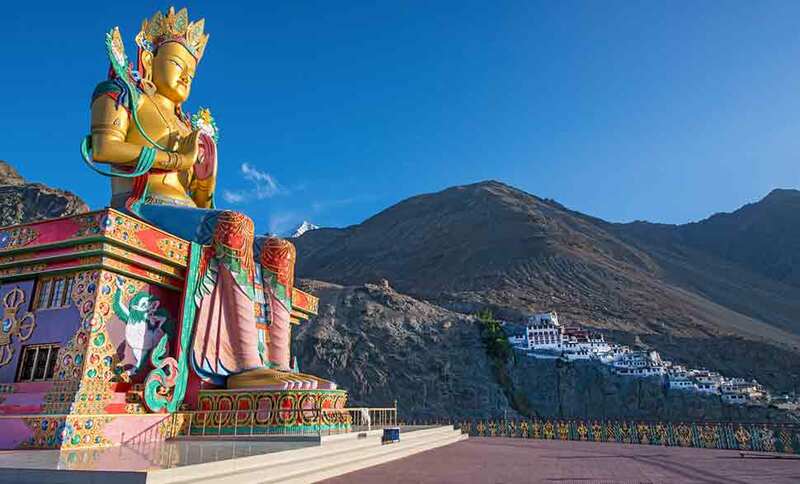 Located in Nubra Valley of Ladakh, this gompa is famous as the largest and the oldest monastery of the region. This monastery is famous for its architectural marvels, interesting ritual, statues and much more. 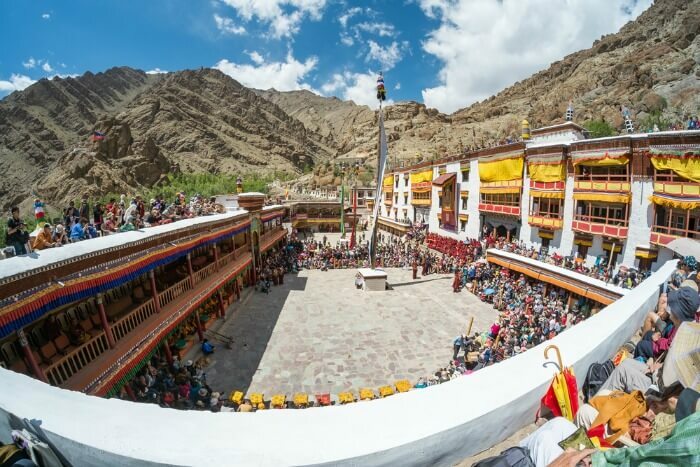 You ought to visit this gompa during Festival of Scapegoat that takes place in February. You can enjoy masked dance, processions, rituals and others. Other attractions of Diskit Monastery are Crowned Buddha statue, old manuscripts, paintings and others. You can enjoy a wonderful panoramic view of the surrounding region from the terrace of the monastery. 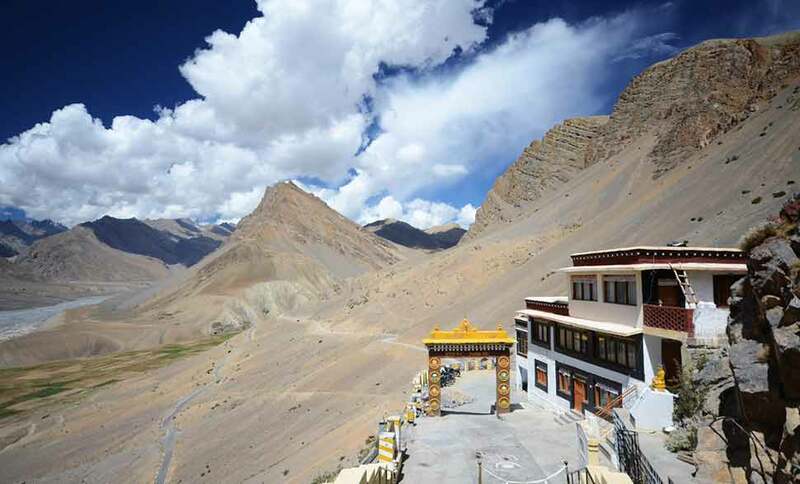 The monastery is easily accessible through Diskit Village road, which is connected with Leh by Khardung Pass. The monastery’s route is closed from October to May. 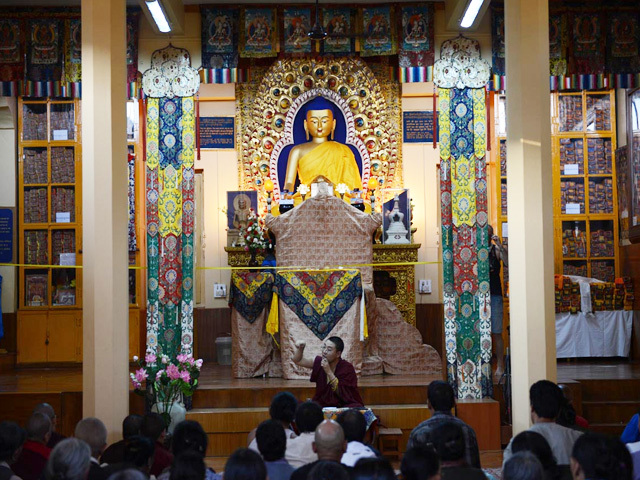 It is a common misconception that, Buddhism thrives only in the northern part of the country. Karnataka is an important destination for Buddhist pilgrims in Southern India. NamdrolingNyingmapa monastery is located in Coorg, a hill station in Karnataka. Home to 5,000 and more monks, this lively monastery is famous for its rituals. Tourists are allowed to take part in prayer, meditation and other rituals. You can enjoy beautiful painting and sculptures throughout the monastery. This is one of the great Tibetan Mother monasteries in India. From the roof of the monastery, you can enjoy a panoramic view of the region. This monastery is also famous for interesting ceremonies like Tibetan New Year celebration, which includes masked dance, processions and others. Among numerous monasteries in Ladakh, this is an important one famous for the rocky landscape and amazing panoramic view from the monastery. Phuktal monastery is built in the shape of a honeycomb and is accessible via a bridge. You ought to enjoy the Tibetan great prayer that takes place during Tibetan New Year. You can find many festivals and ceremonies that take place at different time of the year. The monastery holds a traditional clinic that provides Tibetan treatment. An ancient cave and spring are protected inside the monastery. You can find prayer rooms, library, kitchen, stone tablets and others. 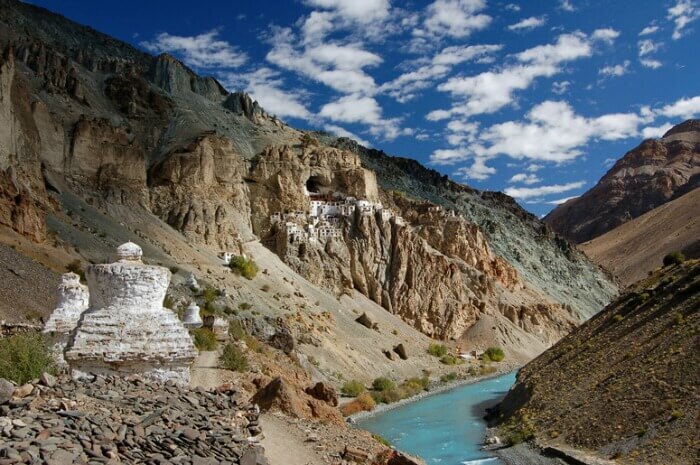 This monastery is located in a secluded region of Ladakh making it an adventurous trip to visit the monastery. 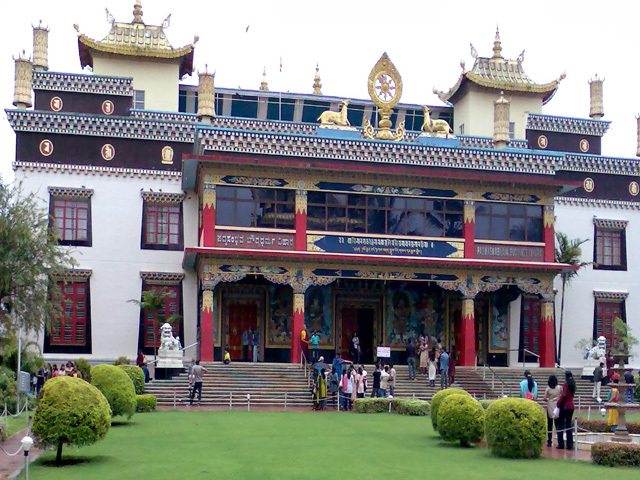 Located in Bomdila region of Arunachal Pradesh, this is the largest monastery in the country. This monastery is located 3,000 m above mean sea level. Surrounded by snowcapped mountains, this is a picturesque spot for enjoying sightseeing and photography. The interior of the monastery is an architectural marvel with interesting statues, painting and others. There is a small craft center inside the monastery, which sells local goods. Tourists prefer buying woolen carpets from this center as souvenir. Tourists are allowed stay inside the monastery, which provides very basic facilities for accommodation. Top festivals to enjoy here are Choksar festival, Torgya festival, Losar festival and others. The main entrance of the monastery is covered with alpine plantation. The roof of the monastery holds murals, carvings and paintings. Dharamshala is one of the spiritual retreat locations in India. Tsuglagkhang complex is a spectacular monastery and the official residence of Dalai Lama, the spiritual leader. Located in McLeod Ganj, a spectacular hill station, this monastery is covered by serene scenic spots along the Dhauladar range slopes. This is the best monastery to enjoy the Buddhist culture. If lucky, you can enjoy live speech of Dalai Lama. The speech will be in native language and you need to find translators to understand it. Except for the residence quarters of Dalai Lama, tourists are welcome to roam around the monastery, take part in all rituals, meditate and explore. Kye Monastery is located in Spiti Valley of Himachal Pradesh. Located 4000 m above mean sea level, this monastery is more than 1000 years old. The monastery’s structure is more like a fort with temples than a traditional monastery. It was reconstructed several times and you can find many Chinese styled architectural elements across the monastery. The monastery’s wall is covered with murals and paintings of yester years. You can find a large collection of manuscripts and books. The monastery has three floors including an underground storage, which is not open to tourists. Tangyur is an iconic room in the monastery filled with murals and paintings. Other notable rooms are assembly hall, cells and others. From the top of the monastery, you can enjoy an ecstatic view of Spiti River and the surrounding valley. This is one of the few monasteries located in Leh. Situated at 11,800 feet above mean sea level, this is an amazing architectural marvel. This monastery has 12 floors and each floor is filled with paintings, murals, statues, plaques and others. A large collection of Buddhist scriptures is found here. The monastery also holds 49 feet tall Maitreya Buddha which stands up to the height of second floor. You can find unique collection of swords, Thangkas, wall paintings, stupas, statues and others. The structure resembles Potala Palace and is painted in rich colors. Within the monastery, you can find many temples like Tara temple, Lamokhang temple and others. October-November is the best time to visit the monastery to enjoy Gustorritual, which is famous for mask dance, trade fair and others. This is one of the largest monastery in the country. It is located in Hemis of Ladakh. 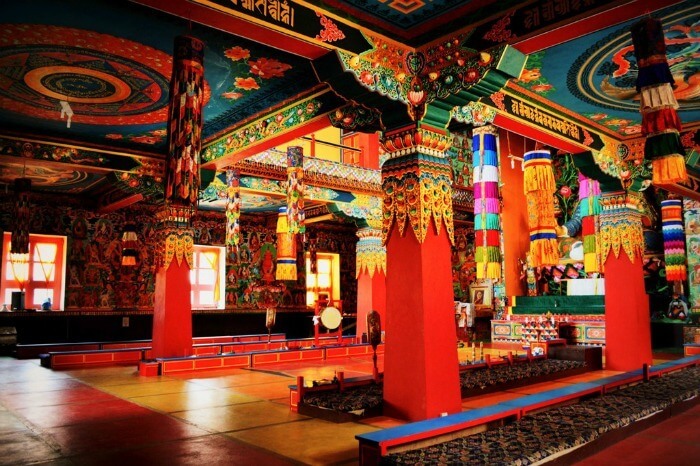 This monastery is very famous for Hemis festival that takes place in June or July. Located within the Hemis national park, this is an important tourist destination in Ladakh. During the Hemis festival, you can enjoy music performances, mask dance, tantric traditions, fair and other rituals. The monastery contains many mural paintings describing the religion in detail. If choosing this monastery for sightseeing, you ought to visit the Hemis National Park to spot exotic snow leopard, mountain weasel and others. Accommodation is allowed in the Hemis Monastery for tourists. India holds numerous monasteries within its borders. These eight monasteries are handpicked for its unique collections, striking architecture and interesting rituals. Each monastery has a prime time to visit. It is best to visit the monastery during any festival or local celebration to enjoy many exotic activities.